The school colors were Gold and Purple. 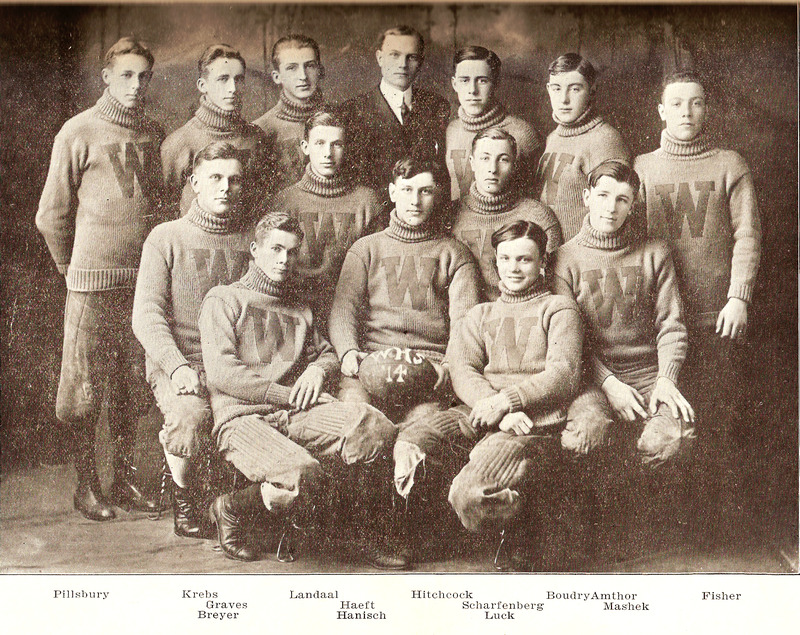 This is one of the earliest pictures of a Waupun football team taken in 1914 but not published until 1916 in the very 1st school annual. There is an earlier picture up in city hall from the 1908 team.